Happy Tuesday/Wednesday!! 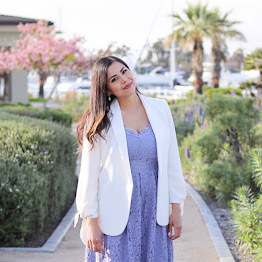 Today I had another meeting with Rachel from Da Paura, but this one was more official as we were meeting to discuss logistics of our event/meet up for San Diego Style Bloggers. Before we ran into the meeting, we roamed the streets of Little Italy and took a few pics. Yesterday, my Rebecca Minkoff MAC arrived! When I was ordering it all of the colors were selling out (in this size) so I had to make a decision fast and I'm so glad I chose this bold color as opposed to the usual black that I end up getting. Hope you like it and thanks for reading!! En Español: Feliz martes / miércoles! Hoy me junte otra vez con Rachel de Da Paura, pero esta junta era más oficial, ya que estábamos planeando nuestro evento para San Diego Style Bloggers. Antes de entrar a la junta, recorrimos las calles de Little Italy y tomamos algunas fotos. Ayer, mi bolsa de Rebecca Minkoff MAC llego! Cuando lo estaba ordenando todos los colores se estaban vendiendo (en este tamaño) así que tuve que tomar una decisión rápida y estoy muy contenta de haber elegido este color en comparación con los bolsos negros que siempro salgo comprando. Espero que les guste y gracias por leer! 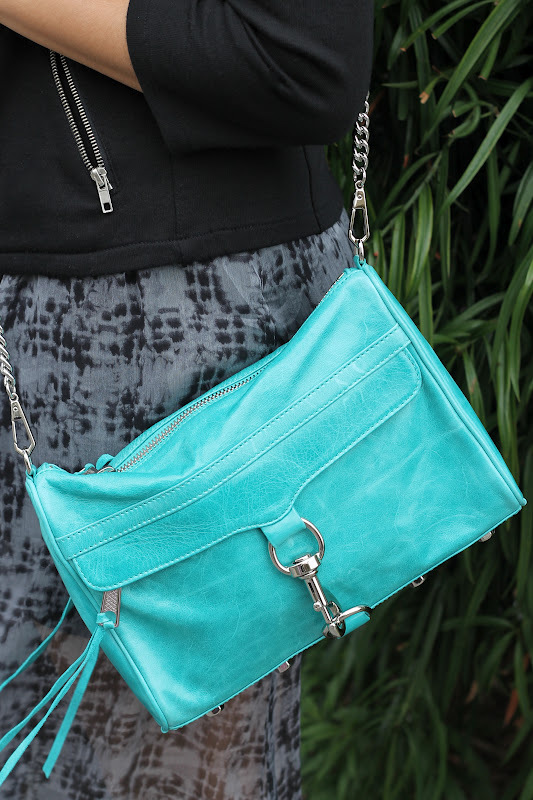 Purse: Rebecca Minkoff teal M.A.C. Rachel and I at The Shopaholics Boutique! that skirt looks amazing hunny!!! Beautiful smile and beautiful choice in handbag color! You won't regret it! The skirt and purse...LOVE! Your friend reminds me of Paris Hilton. I love her striped pant. it was the perfect choice!! that color is just gorgeoussss!!! Cute outfit I love your shoes! Your bag is also super cute, love the color. such a cute skirt. i'm loving all this sheer i'm seeing lately. gorgeous outfit!! i would LOVE to have a rebecca minkoff bag!! Un look definitivamente muy fresco! Me encanta el color de la cartera! Love the skirt! This outfit looks great on you! totally adore your bag, perfect color for summer, you look fab!!! That is an amazing purse! And great outfit! Look at those shoes!!! Love! And the color of your bag is simply gorgeous! estas guapisima, genial ese bolso y tu look, que me gusta!